This entry was posted on September 15, 2012 by joeleagle. 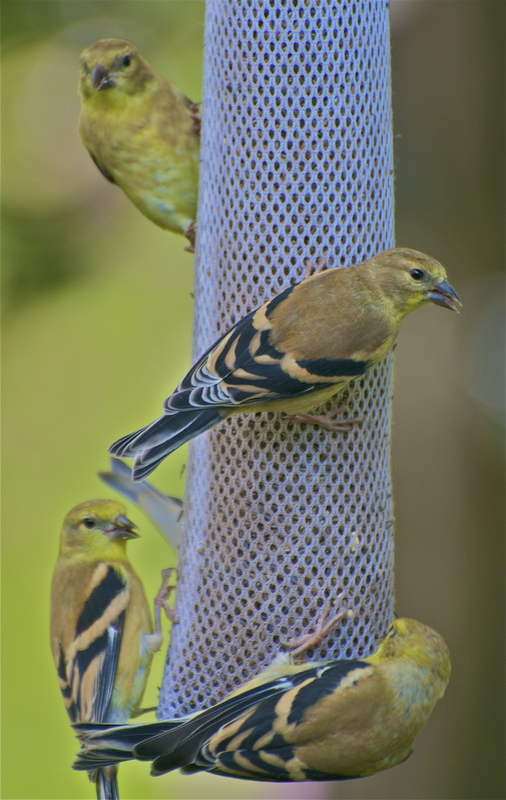 It was filed under Birds and was tagged with goldfinch, goldfinches. Finch Feeder Sock. very nice I love that it seems like two of the finches are looking right at you , love the colors.